Whilst on the phone to a friend of mine last weekend we started discussing the current cover of Tatler. 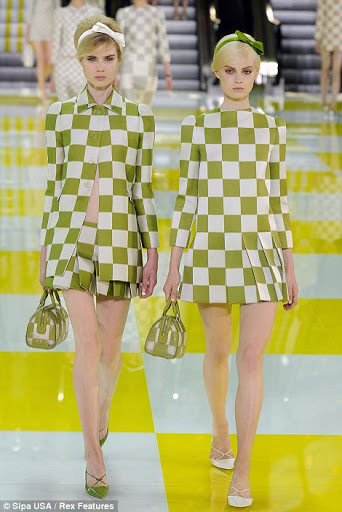 This is the cover, featuring Tali Lennox riding a bike wearing a fabulous sixties style dress by Louis Vuitton. The image was instantly recognisable, its inspiration had clearly been a Twiggy photograph that I knew well dating to 1967. I thought I should therefore delve a little further into the background behind this picture, and the shoot it came from. First off this image did NOT appear in the original shoot. Despite being one of the most instantly recognisable images of Twiggy this was not published in the original Vogue shoot. Below are the images that WERE published. 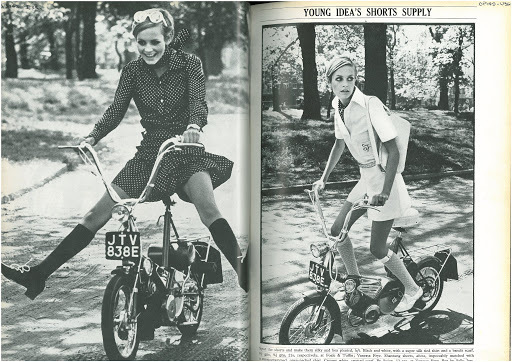 This shoot, as seen in the June 1967 issue of Vogue was when Twiggy was at the height of her career. The shoot’s name is “Young Ideas shorts supply”. 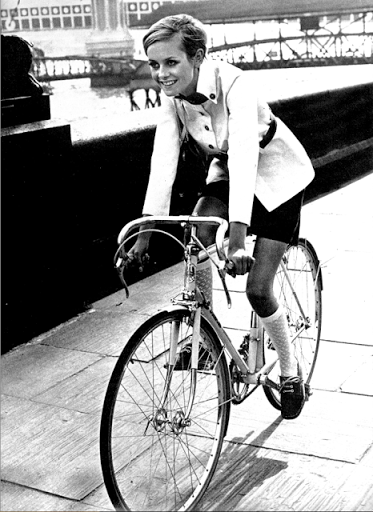 In the shoot she is seen riding through Pall Mall on a series of different swoon worthy bikes and mopeds. 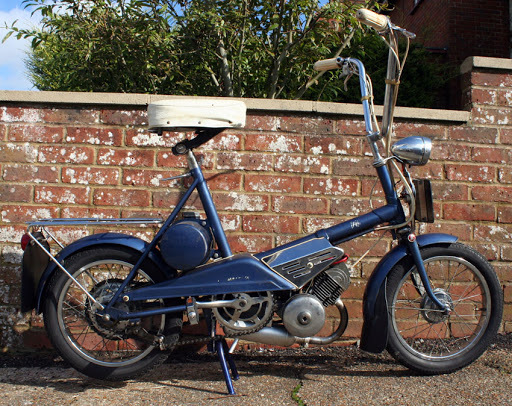 The moped seen here is a 1967 Raleigh Mist. This is an example of this type of moped. 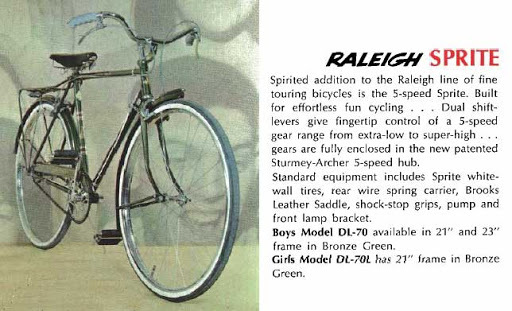 She is also seen riding another Raleigh bike; after doing a little research in the Raleigh catalogue from 1967 I would assume this is a Raleigh Sprite. I was also interested by the photographer Ronal Traeger. He was an American photographer whom i had never previously come across. I was interested to find that he died just a year after this series was photographed in 1968. 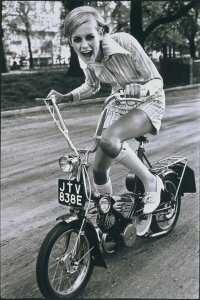 In his short career the images he is most famous for were mostly those he took of Twiggy- particularly in the year 1967, and for capturing “Swinging London” in both Elle and Vogue. Cecil Beaton later stated of Ronald Traeger that ‘he was well on the way to becoming one of the most brilliant photographers of today’. So there we go! A deeper delve into a very interesting Twiggy shoot!